Let the Expert’s Remove Fallen Tree’s! OAKVILLE...Storybook Tree Services offer Arboricultural expertise for residential and commercial customers in the Greater Toronto Area. Today’s topic of discussion is the dangers of fallen tree’s and what you can do to prevent a serious accident. High winds, rain storms and severe temperatures can be extremely destructive, especially for overgrown and unattended trees on one’s property. Following the aftermath of any storm, many home owners will attempt to remove a fallen tree on their own, without little thought to the potential danger that they are exposing themselves and family members too. To add to this concerning issue, the use of a chainsaw can also be awfully dangerous. This is why it is extremely important to call in the experts such as Rob Ambeau, know as @TheTreeGuy and owner of Storybook Tree Services in Oakville, Ontario. 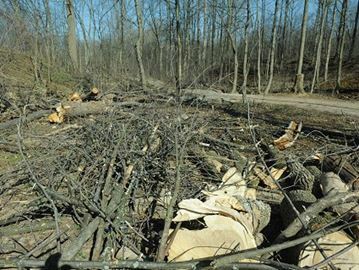 Professional help is recommended because every fallen tree is surround by a number of unique factors that have caused this to happen. The professionals will come in and assess the situation and then take immediate action to relieve any dangers, especially partially fallen trees that are being supported by branches that are under extreme pressure and tension. Make sure you are allowed to remove the tree. In Oakville residents need to contact the Town of Oakville Parks & Open Spaces department regarding any permits that may be required to remove the tree. Safety first! A fallen tree can be dangerous. Contact Storybook Tree Service to assist you! Storybook Tree Services are dedicated to providing the best in tree maintenance and service at competitive rates producing quality results in a timely manner; and take the time to evaluate each customer’s request and provide an estimate on the required work. Call or email Storybook Tree Services for a free consultation TODAY. OAKVILLE...Storybook Tree Services offer Arboricultural expertise for residential and commercial customers in the Greater Toronto Area. This week Storybook Tree Services were in west Oakville to remove a large branch off of an Ash Tree as well as trim back over grown branches on two Elm Tree's on public property. This was a tricky job as the trees were nestled deep into the clients' backyard and a crane was brought in, to ensure that there would be no damage to the property and most importantly to the clients' home. The job went extremely well with five guys on site, this job was complete within three hours owner Rob Ambeau says "Staff at Storybook Tree Services understand the importance of trees against the local landscape and take pride in our profession in keeping trees healthy and strong. This job was a complex so we brought in a crane to add efficiency and safety to the project. Best of all to ensure no harm was done to the home and/or the property." Storybook Tree Services are dedicated to providing the best in tree maintenance and service at competitive rates producing quality results in a timely manner; and take the time to evaluate each customer's request and provide an estimate on the required work. 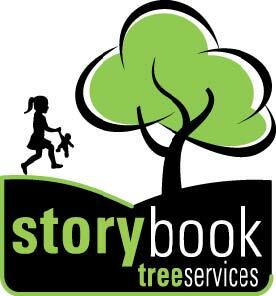 Call or email Storybook Tree Services for a free consultation TODAY. At Storybook Tree Services, we take pleasure in servicing local residents and businesses of Oakville and as local Oakvillians ourselves, Marsha and I take great pride in calling Oakville our home town. There is no question that Oakville is one of the most beautiful and vibrant Towns in Ontario. Oakville originated when William Chisholm’s came to Oakville from Burlington to establish a ship building on the Sixteen Mile Creek in the in the early 1800’s. 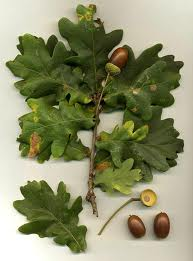 Oakville was named after the Oak Tree’s that were native deciduous trees located in the area. Before Chisholm came to Oakville, the lands were inhabited by the Mississauga Indians and the lands around the harbour were used and protected as a hunting ground. When founder William Chishom arrived he used Oak as a main resource for his Ship Building business. Oaks staves where exported out of the Oakville Harbour Creek and became a very profitable business for the Chisholm family. As Chisholm’s private business grew, Oakville was declared main port of entry in 1834 and the Oakville Customs House was established. As Chisholm befriended many native Indians, they nicked-named him “White Oak” because of his kind, and honest and trustworthy, solid character. Today, the Oak Tree and tree’s at large, are a very integral part of Oakville’s natural Heritage. Storybook Tree Services takes the Forestry business serious and treat if with great care, to ensure that we are doing the very best, to ensure Trees are being tended too to enjoy a long and healthy life. So assess your property and your trees and contact Storybook Tree Services for a free estimate and consultation on Tree Maintenance and Care over the winter months. Storybook Tree Services is continually keeping abreast of new arborist methods and techniques to better service our customers. We are dedicated to providing the best in tree maintenance and service at competitive rates producing quality results in a timely manner. We take the time to evaluate each customer’s request and provide a free tree report on the required work. When you hire Storybook Tree Services, your outdoor greenery is in the best hands available to ensure continuous healthy growth for years to come. Call or email Storybook Tree Services for a free consultation at (905) 599-6860.